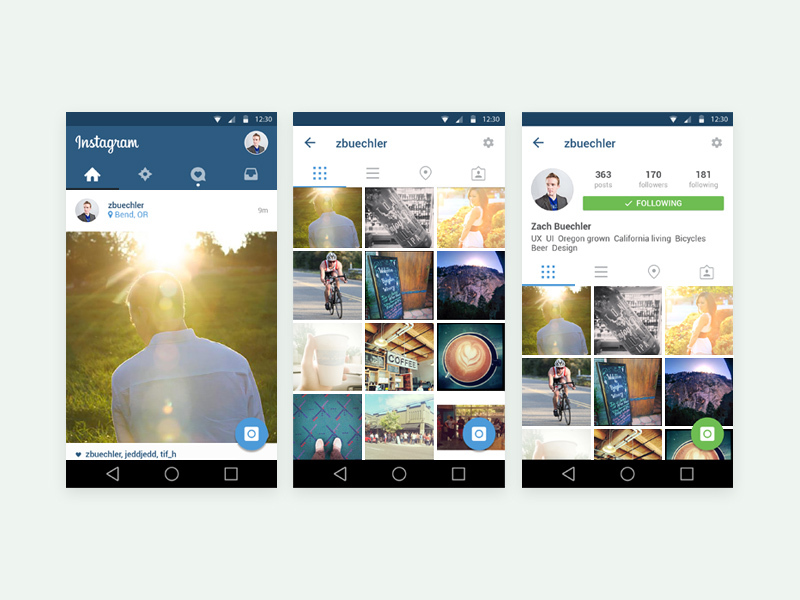 Download Instagram Mobile App UI Template Free PSD. it’s a Free PSD file of the layout containing the main screen of Instagram and all the elements. PSD contains all the necessary elements to put your own image for a presentation or just for fun. In this Instagram Mobile App UI Template Free PSD you will find a home screen, profile page screen and a timeline page screen. Set of 3 screen PSD of an Instagram App UI, redesigned by simplifying the elements and making the user interface more clean by using the white space properly and better look and feel to current structure. Hope you like this Instagram Mobile App UI Template Free PSD. Enjoy!